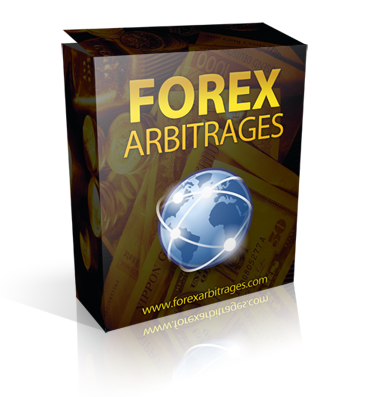 This entry is reserved for our official review of Forex Arbitrages. This is a forex product being sold on most likely Clickbank or Plimus for a TBA price. They will most likely offer a refund policy of 60 days no questions asked money back guarantee. If real user reviews of Forex Arbitrages are what you are looking for, then check the comments below. They are real customer experiences with this product. If there are no comments, then be sure to come back frequently and check for updates as our review and discussion of this product continues to grow. If you have experience with Forex Arbitrages or know something people might find important please feel free to share in a comment below. It may help someone save or make a lot of money so don’t hold back. Because of the influx in forex robots and forex systems being released right now, our reviewing as been slowed but our user comments have not. Make yourself at home and write a comment, or ask a question for the community to discuss. You will be surprised the information and knowledge you may unveil. arbitrageforexea.com and mam fx robot ea is a scamm!!!!!!!!!!!!!!!!!!!!!!!! the heck out of it…..For a Real World Review that Iwill bring back here….. I got the same reply from click bank, exact the same wording. FA is using auto responder to reply buyer that ask for refund. Just insist on refund, you should get your money back. Don waste time on this ea. bought 3 weeks ago and set up on GBPUSD made 11k in 10 days only on sell options, I have been asking support for reason why no buy options but to no avail. I am looking at placing on EURUSD as well, but arbitrage has not placed single option yet, only arbitrage plus. Always seems to be first thing in the mnorning and then waits all day well in the red until late afternoon as the market closes in europe, EURo drops and comes into profit on the trade, very scary all the time, but seems to pay. Have run with all limits off for 2 weeks now, no loss trades as it will not follow the stoploss orders. I have in 2 instances had to stop it myself and close an order as it was starting to trend the wrong way. All profitable, but really scary ride. Not a sensible option for people without massive funding behind them. I started with an account of 50k, left with 65k so good result for 11 days final trades, but not a safe EA to use. Agree with other comments… Forex Arbitrages EA is real piece of c****! It doesn’t even look for arbitrages. It is just your basic five pip “scalper” on the EURUSD 1M chart. The “so-called” Manual program only looks for trends on higher time-charts and then you’re supposed to place the trades yourself. There is no explanation or rationale provided, just a generic installation pdf booklet for the Basic, Plus and Manual versions of the software. I will be asking for a refund immediately because the advertising is completely misleading, even the very name itself is not representative of the product. Total garbage – almost consider this EA should be given a “scam” rating. What do you think? Here are my emails fo refund.. Still waiting.. This is my fifth mail to refund me..
Refund me please..otherwise I’ll share all these mails in some forums, chat rooms, etc. with my opinions..
> > Still waiting to refund..
> > -70-80 pips and MAYBE finally -100 pips. > > Thats way this is risky for me. I never thought that risk more than 4-5 pips. > >> > I’m not satisfied your Arbitrage system.. So risky for me..
> >> > Please refund.. Thanks.. I have added six other pairs to arbitrage +and I have since last night made ​​over $. 1000 I have closed the trade way before it reached limit but when there was a suitable profit. The recommedation for limit of 5 I do not understand because it looks like limit is around 40 points so I have revised this down to 3 and will see what happens. Try different pairs and do`t go for a refund too fast. SCAM!!! I’m also on my third attempt for refund. Tech support keeps changing status to ‘tech support’. So much for no questions asked refund. I will make sure I get mine though. Don’t waste your time anyone, and if you have, please make sure you get a refund! Hi Dazza , if you purchase through plimus change your ticket to ‘escalate’ to make them to get your refund. Bs with ‘tech support’ or ‘vendor response’. Just my two cents worth about this EA. Downloaded the EA using THEIR recommended broker and after 3 days not a single trade. Ran it on two additional brokers, running now on three brokers, and still not the first trade. Contacted support and their answer was to use the settings in the manual and use their broker, which I had already specified in my email. After the support “run around” I began my “quest” for a refund and it took over four email to finally get a refund ONLY because Clickbank stepped in to resolve. Finally received refund but from my vantage point this EA is a load of horse droppings! DO NOT WASTE YOUR MONEY OR TIME!! This software is a complete SCAM! DO NOT Buy This! We have tested the software and it’s complete garbage. We requested a full refund for 3 times and it was denied. We escalated to paypal and clickbank and here’s what they did. They changed the “status” of the clickbank refund ticket from “refund” to “tech support”. A clickbank staff member had to change the status back to refund and issued the refund immediately. I just wanted to share this to help prevent the same that happened to me to happen to anyone else. Thanks. David, I did everything you recommended including using “Pepperstone” as the broker but I have a situation which I cannot understand. My demo account has closed 452 yes 452 trades and EVERYONE is the same. All sells and all from Arbitrages plus AND ALL are losses to the tune of -1552 dollars. Not one gain and all this in one day. Now if you can change something in the programing so it does just the opposite, I can make some real money real consistently. How do we reverse this? Above is a copy of a message I sent, today, to Dave Quinn which explains what is happening with his product. The regular EA has not made even one trade but the advanced version has made 450 in one day averaging $3.50 loss per trade. All are consistently the same, sells and closing as a minus. If someone out there knows how to reverse the program I could have made $1500 in one day starting with $3000 and no losses. Good thing I’m on a demo account. OK, this is yet another dangerous thinking some traders have. What is the TP and SL? Just “reversing the logic” won’t make it profitable. This is rather dangerous thinking. I think this forex arbitrage is just another version of the pushbuttonpips ea, which uses the difference of currency quotes from different brokers to make the supposed “profits”. I have tried the pushbuttonpips ea but it didn’t work because I couldn’t find the right pairs of brokers. Maybe the right pairs doesn’t exist? I got my refund from clickbank. Thinking that this could work means not knowing what you are doing. The concept of arbitrage in the fluid forex markets has to be fundamentally impossible due to the constantly changing spreads – it may in fact be possible to enter a trade when a positive arbitrage exists, true, but next to impossible to maintain same – tons of hedging would probably be required (now not even allowed in US accounts); and even if it were technically possible, the method would not be for sale for $47 and a very, very large trading account would also be necessary to even achieve one successful outcome. I purchased this system today, when I got the dowload it was for a different system called Arbitrage Spy. I contacted support but so far they have not responded. I looked at the Arbitrage Spy sight and noticed thet this site and ForexArbitrage sites are almost identical, also the picture of the vendor Chris Archer is the same picture as David Quinn the vendor of Forex Arbitrage. Strange!! Finally when I tried to leave the Arbitrage Spy site the usual sales person box opened, when I asked her are David Quinn and Chris Archer the same person she would not answer, when I then asked her why I had rec’d Arbitrage Spy when I purchased Forex Arbitrage she again refused to answer. You like me will have to draw your own conclusion regarding this. I cannot comment on whether Forex Arbitrage works because I have not be able to access it yet. I think I will contact Clickbank for a refund. I am sure you know it as well, but they are all actors just as Marcus of Forex Auto Pilot is an actor. You pick an actor from the list, send them the script, they read it record it and send the HTML file so that you can upload to your site. They are all actors. $47??? Give me a break. Another ClickBank EA fraud. Why do people keep asking irrelevant questions??? This is pure crap. And you only need your broker account to run this… according to their crap support, they are running the brokers info on their server and it compares that to your broker price feeds. You are not signing up for 200 broker accounts and running 200 MT4 platforms. This notion is so ludicrous and the price makes it utterly ridiculous. i bought yesterday this EA. it is already installed and lets see how it works. i also sending yesterday an email to the support questioning how this EA can work as arbitrage as i only have one current account. the only idea i have: they compare my platform with some of theres and try to do so a sort of arbitrage. it looks strange. i let the EA work one month. if no profit (as promised) i take back my money. TP is recomended by 5. that is ok so. if the EA trades 5 times a month….would be ok.
Well had a reply from support. “Thank you for your reply. How this is ‘arbing’ I don’t know. Unless it waits until your eur/usd price from your single broker is at a more favourable price than the ones being checked by the arbitrage people. In which case when the time comes to trade you will only get a better entry price. How much can this be? 1 pip, 2 pips, 5 pips? Well, they are lying, as I have decompiled the EA and know how the program code look like. The trade is based on a combination of different technical indicators ONLY, and there’s no communication between the program and any other sources. I’vre also backtested the EA with diferent settings, and it always ends with one or several huge losses that wipes out the account. Beware!!! I was intrigued by this EA. The ‘blurb’ didn’t give enough insight into how it worked, so I emailed the support. With your system if it scans the brokers automatically, do you have to have accounts set up with hundreds of brokers before hand. (With money deposited in each one so you are ready to trade)? “Thank you for contacting Forex Arbitrage Support Team. The Forex Arbitrage system was hard to design, but it is easy to use. Just install our software according to the manual, attach our expert advisor to your EURUSD 1-min chart and you are good to go. The software itself will be able to gather information from our accounts and your account and make incredibly profitable trades! Well I did have another question. “Thanks for the quick reply. Am still a bit confused as to how it works though. Obviously I don’t want you to send the code over so I can take a look. But if it works on just one broker. (And thanks for giving me the heads up on Pepperstone. They look pretty good) How does the ‘Arbing’ come in? I understand arbing as playing one brokers prices off against another with the intent to profit from the difference in prices. Can you explain a bit further for me please? No answer from support after 2 days and nights. Do you have an answer for me yet? Do you need accounts set up with different brokers to take advantage of the ‘arbing’ op. Or is this just really another scalping ea for eur/usd? So far no answer to this e mail after 24 hrs. This is not as advertised. It is not an arbing ea. If it were you would have to sign up to at least 2 brokers. 20 would be better. But to fund 20 accounts??? The only good thing to come out of this is I have signed up to the recommended broker because they have really tight spreads and look pretty decent. As for the EA? Can only put it down as a eur/usd scalping ea and a thinly disguised attempt at a rip off as support have not been very supportive and are not answering simple questions. What a strange name for an EA that doesn’t compare broker prices to make real arbitrage orders. It only uses 5 different indicators in a stramge combination to decide when to close and buy or sell. And the large combination of indicator-combinations that must be true, generates very few trades (just a few per month). I’ve tested the Strategy Tester with different settings, and the EA always ends up with drawdowns. I don’t recommend anyione to buy this product, and I will ask for a refund from clickbank. I too would like to know how many brokers do you have to be signed up with for this to work. how many brokers do you need to use this product? Just bought today and let see this week how it works!! !